Meniett micropressure therapy is a simple and effective treatment of Ménière’s disease which helps many patients control their vertigo symptoms and get back to enjoying life. Find out more about causes and symptoms related to Ménière’s disease. Learn more about the Meniett therapy and find out if the treatment fits you. 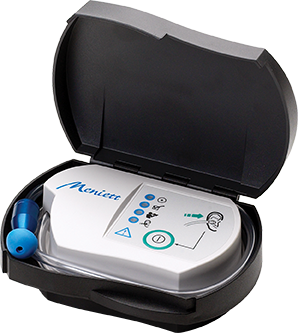 Please contact us for any questions about the Meniett device.